Every person belongs to one or two states. Some people live in several countries. Many of us travel al around the world. And of course, plenty of us (I say plenty, not all) think that people from «our» countries are the best. Even those who immigrated many years ago still think that mutual motherland means a lot. 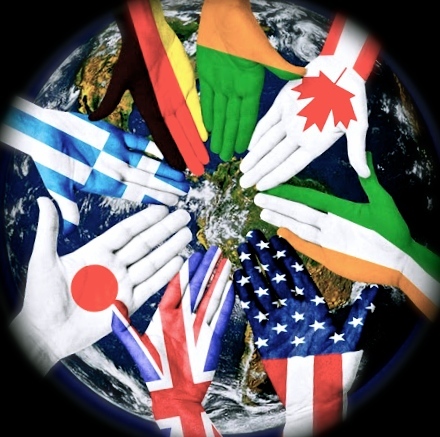 Therefore, many people unconsciously or sometimes consciously divide all the members of the society into good and bad, only according to their nationality. By the way, I can’t say that’s a feature of one nation. It’s widespread all over the Globe. Thanks to History, conflicts and wars. To be honest, just until recently I also thought that people from my country are the best, they are helpful, responsible, kind etc. Owing to some experience and just attention, I noticed that it absolutely doesn’t matter what country a person is from, what language he or she speaks and what he or she does. Communication is about mutual respect, not mutual motherland. In this article I am going to share my own experience and that of my friends and relatives. The age, the places and the time are absolutely different which shows it is not a recent trend. «The Baltic countries were always special for all people of the USSR», says Tatyana, 56. «When I was a student, I went there with friends to have a look at «Europe». When I got married, I went there with my husband to buy clothes for children». Tatyana says all of the three Baltic Republics were different from Russia. It was one country but each republic had its own language, though Russian was the official language. «I remember having a nice dinner in a restaurant with my husband in Tallinn Old Town. The dinner was so amazing that we left it very late!», recollects Tatyana. After having payed for the food, the young couple got lost and they couldn’t find their way to the hotel. What do people usually do when they get lost in an unknown place? Of, course, they start to ask the locals. So did Tatyana. «I guess it was our destiny that evening but all people we met were either Estonians or Russians who had been living there for a long time and they simply didn’t react to the questions», remembers the woman. «Only the tenth or the eleventh person, who was not a local, showed us the right way». The young couple was very surprised that the person, who helped them, came from Armenia. He was in his thirties, spoke Russian with an accent but he showed them the way. «Now when I hear the word «Tallinn» in the news or on the radio, I always remember this situation and that Armenian man who helped us a lot!», says Tatyana. «Many people think that traveling means a lot of money. To my mind, it’s not true and I try to prove it», says the Alina, 24. The young girl goes to different cities or countries very often. Moreover, sometimes she manages to save up money and buy nice things. In 2010 the girl went to Dubai and bought a laptop. «It was not a cool laptop, just the cheapest one but it was my first laptop which I had bought on my own», says proudly Alina. When the girl was flying back home and changing her planes in Frankfurt, she had 6 free hours. «I was eager to charge my new laptop and so I plugged it in and started to surf the Internet», remembers the girl. Suddenly Alina heard an announcement to go to the other gates so the girl took her bags that were far away and went to the new gates. «Of course, many people would say it was stupid to leave your laptop and go away but people who travel long distances understand that it is easy to do as when you travel you get exhausted», says the girl. She just took her bags and went straight to the other terminal when a man stopped her and asked if that laptop was hers. «I didn’t get the question because the man spoke English with a heavy accent. «There I realized that I had forgotten my new laptop! I thanked the man and just had a small talk with him», recollects the girl. His English was not perfect, he was somewhere from Africa, he was immigrating to Canada with all his family. «He turned out to be a nice man who helped me. I do realize he could just take my laptop and go. However, he stopped me and told me about my forgotten gadget», says Alina. The girl was very thankful to the man and gave him a postcard from Dubai as her «thanks». And here comes my own story. In summer 2010 I was in the USA. I was the only Russian in the area but that was my aim just to improve English and get rid of the accent. When I was in Russia I thought it was cool to live without people from your country as I would have a great experience of living in a real American atmosphere. However, I also faced some problems. The owner of the flat that I rented had to sell it immediately because of some reasons. I had less than a week to get packed and leave the flat. And I had no relatives, no friends, nobody to help me find a new place. A few weeks before that I got acquainted with a girl from Puerto Rico who helped me find the flat and move all my things. Moreover, my new landlord was neither American nor Russian. She was from Chile. For the 3 month I lived with her, she had become like the second Mom for me. On the on hand, the woman was just renting the space in her house so she just wanted to get money. On the other hand, she was so very welcoming and nice that I still remember her and I think of her as of a very nice person first, and only then as of my ex-landlord. Broadning their horizons is a wise thing to do for anybody! Obserivn mutual respect is another! Welcome to the world! One of the best things about travel is talking to people of other cultures. such wonderful learning. I can’t count the number of times the kindness of strangers has made my day, particularly on long journeys where it is so easy to be tired and disoriented. Thank you for stopping by to read my recent post. I love foreigners, I learn so much about the world and myself. You have a great blog. Keep going! Lovely post, I have found the same thing to be true in my travels. No matter the culture, you’ll find wonderful people. I very much enjoyed your post. It’s always good not to prejudge people who may turn out to change your life. Thank you for reading my blog too. I love the blog..thanks alot for also commenting and liking mine..Great job!!! I enjoyed your post and completely agree. We love to travel and we’ve found the same thing to be true. Overall people are good. They want to help, they want to engage. Thank you for visiting my blog Good LIfe Protocol and liking it too. We are all humans together, and I, like many people are trying to find a way to be a happy and useful person. Great post and thanks for sharing your ideas. Nice post. I am in love with all the organisations out there on the internet that foster these same ideas. Hospitality exchange programs help us to stay in the homes of people in other countries or have them in our homes – at no cost. There is no better way to break down stereotypes and come to the realisation that where you came from does not matter but who you are does. Believe in the goodness of people and they will usually prove you right. Judging people really isn’t anyone’s job. If we look at everyone’s genealogy, we will likely find within their history, they’ve come from somewhere other than where they are located at the present time. So really – there is no sense in finger pointing because a high percentage of us all are immigrants and travelers of sorts. Thanks for the post! wow , very good job for your blog. Is nice to find some one who see the world the way I do. Life will be more simple if we all stop judging people for their color , or where they come from. Agreed! It’s amazing when you can communicate with someone from a different country or just a different culture. I lived in Flushing, Queens NY a few years back and it’s the second largest China town in the U.S. I had just moved there and I was lost, so I tried to ask for directions. Some didn’t acknowledge me at all, but one woman, who didn’t speak English, took the time to work with me to communicate and help me. She pointed down the way and I thanked her and started that way. I was walking for a good five blocks, when I felt the lady had given me bad directions and was getting frustrated. Next thing I knew someone was yelling and I turned around to see that same woman running towards me. She had run five blocks to find me and let me know she was mistaken and she turned and walked me to my destination. We didn’t speak the other’s language, but she was able to help, and I was able to show my appreciation and respect to her. One of my favorite memories and gives me faith in humanity. I would love to travel one day and have more experiences like that. Borders are arbitrary and artificial. They divide. If you see Earth from space there are no borders and it will be the history of our species to have invented borders and countries. I appreciate ethnicity, traditions, and diversity. But anything that separates and divides us as humans is insane. Thanks for liking my post and enjoy reading yours..keep going. Of course. When people travel more and more they must obtain these conclusions you are talking about. I love travelling without taking care where was born each person.